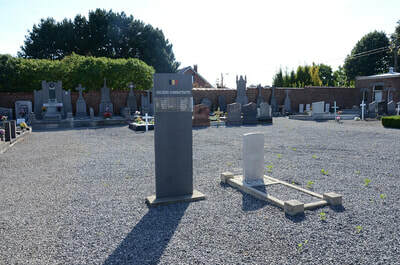 The village of Lesdain is located south of the town of Tournai off the N52. From the motorway E42 turn off at junction 31 onto the N52 direction Antoing. Follow the N52 past the junction with the N507 and continue along the N52 direction St-Amand (France). In the town of Bleharies turn right and follow the main road to the village of Rongy. In the village turn right into rue Rosee direction Lesdain. On entering the village the church stands in the centre and the cemetery is near the church. 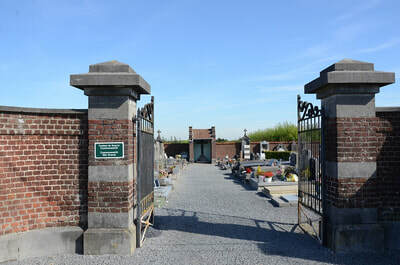 The graves are located to the right of the main path. 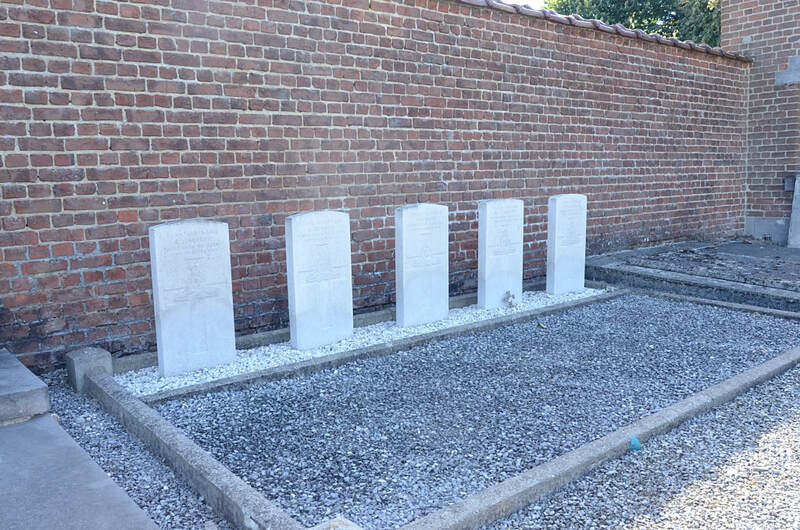 Lesdain Communal Cemetery contains six Commonwealth burials of the First World War, all dating from October 1918 and the Advance to Victory. 835518 Corporal Saddler F. Benton, "A" Battery, 242nd (Army) Brigade, Royal Field Artillery, died 22nd October 1918. 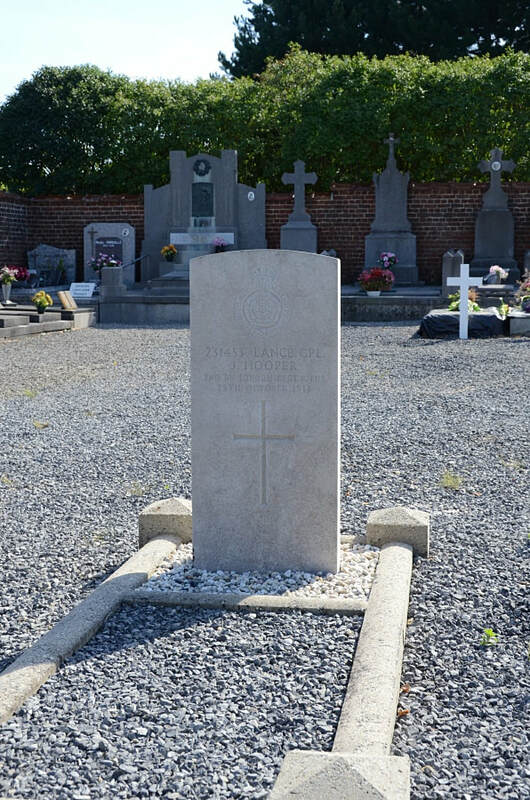 2104 Farrier Serjeant J. Hartley, "A" Battery, 242nd (Army) Brigade, Royal Field Artillery, died 22nd October 1918. 231453 Lance Corporal J. Hooper, 2nd Bn. London Regiment (Royal Fusiliers), died 25th October 1918, aged 20. Son of John and Mary Hooper, of 30, Crossley Rd, Paddington; London. 836104 Driver W. Sargent, "A" Battery, 242nd (Army) Brigade, Royal Field Artillery, died 22nd October 1918. 835471 Saddler John Charles Webb, Royal Field Artillery, died 22nd October 1918, aged 26. Son of John Webb, of Smethwick; husband of Martha Annie Webb, of 9, Mill Cottages, Corbett St., Smethwick, Staffs. 59766 Driver C. Woodger, "A" Battery, 242nd (Army) Brigade, Royal Field Artillery, died 22nd October 1918. Husband of H. C. S. Woodger, of 93, Canon Heath, Wateringbury, Kent.